There is a soul to the South that is mysterious, eccentric in the best possible way and which explains why we treasure the Scott Smiths of our region who breathe special life into the sultry air and spin magic we can barely imagine. When Scott – who is historian, gourmand, nurturer, spinner of magic – organized this trip to the Oz of the South, I clicked my heels not to go home but to follow him down the Yellow Brick Road. 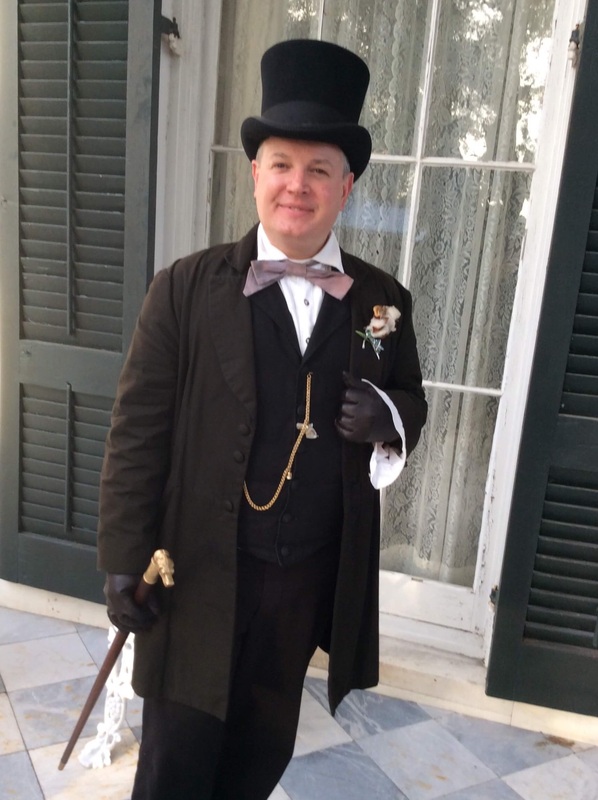 Scott divides his time between Franklin and Natchez and he is devoted to preserving and celebrating the unique personality of this Mississippi River gem. Yes, I`ll get to why he is dressed up as Jimmy the Cricket in a moment. We started the day at Frogmore Plantation, one of the largest cotton producing enterprises in the world. But did we learn about the production of cotton? Well, sort of. We sat in a wooden, one-room church on the plantation as the baritone of an African-American slave sang of only finding joy in the painful fields by singing and prayer. We learned of a year in the life of a plantation from the slaves` perspective and ended singing Come Tell It On The Mountain. It was not a program designed by Scott but he found it and wanted us to understand at the core what it was like to endure unspeakable cruelty and triumph through spirit. And then he took us here for lunch. Yes, ridiculous, completely inappropriate and eccentric. Mammy`s Cupboard. No, it is not run by black people. They are eating at the Palm. 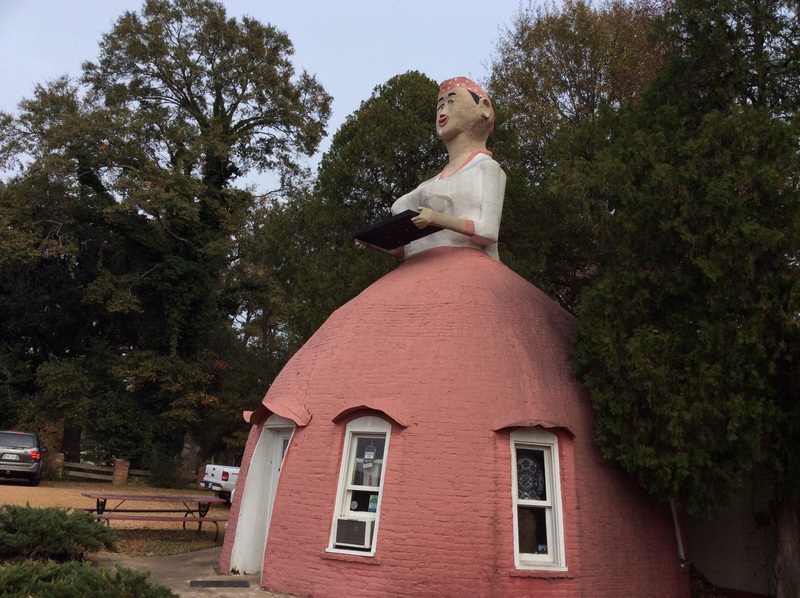 It is a former 1940s gas station turned country cooking place by a woman who knows a thing or two about pie. I don`t eat sweets. I ate a whole giant slice of coconut cream pie without regret. The last stop of the day was at an antebellum home called Cherokee. I had tried to research it on the Internet but couldn`t find anything about it. Why? Because it`s a friggin` private home. We were, complete strangers, invited into this magnificent home to dine on herbed ham biscuits, venison sausage and smoked salmon because Scott is friends with the owners. Jimmy the Cricket. Scott, on occasion, will dress in period clothes and lead parades, appear in productions or just generally greet people on the street. And sometimes Southerners of a particular intellect, will just get things wrong when confronted with such majesty. A gentleman, upon observing Scott`s 19th century appearance, exclaimed, “Why, you look just like Jimmy the Cricket!” Of course, he meant Jiminy Cricket, but it makes no never mind. We have two more days in this almost mythical place and I can`t wait to see what magic Scott spins. Oz. The Wizard. Pay no attention to the man behind the curtain? No, no. Pay particular attention to the man behind the curtain.